The Liberty Memorial in Kansas City, Missouri was dedicated in 1926 to commemorate the US sacrifice in World War I. 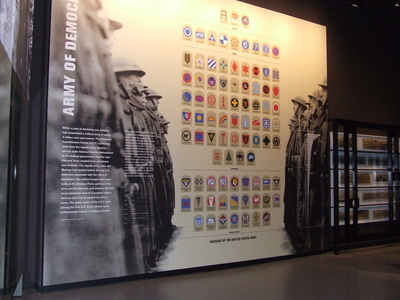 Some ten years in the making, a new 32,000 sq. ft. underground experience designed by RAA opened on December 2, 2006. 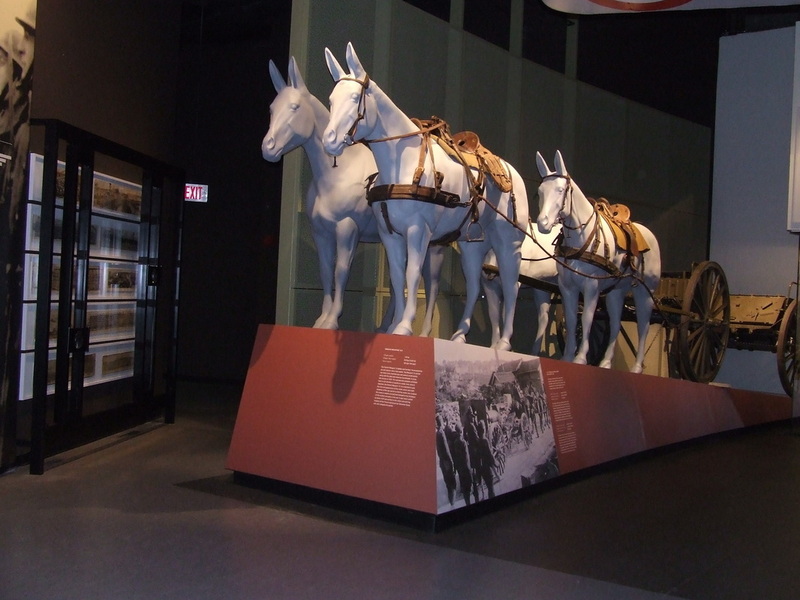 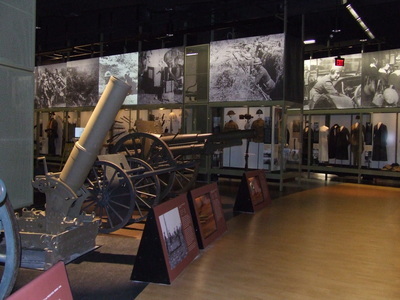 Now designated by Congress as the National WWI Museum, the galleries showcase the vast collection of artifacts, feature large scale interpretive graphics, exciting media presentations, and highly interactive technologies. 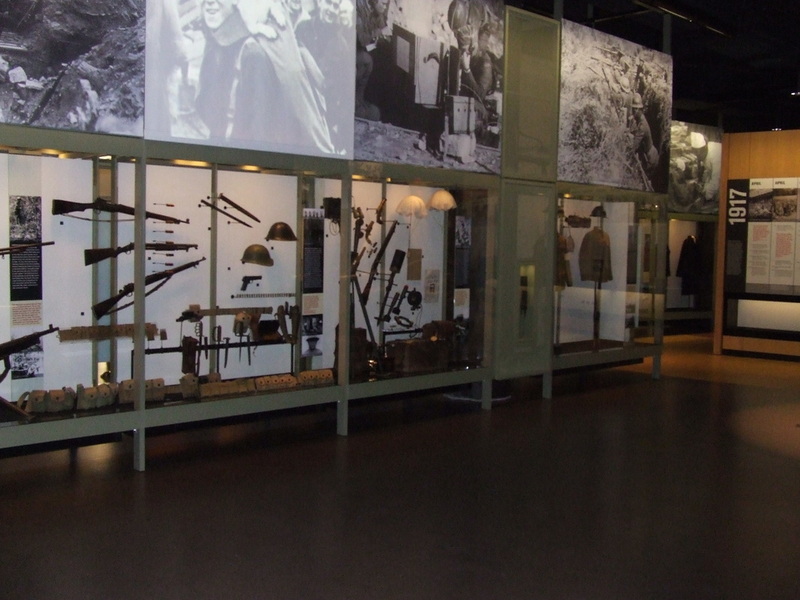 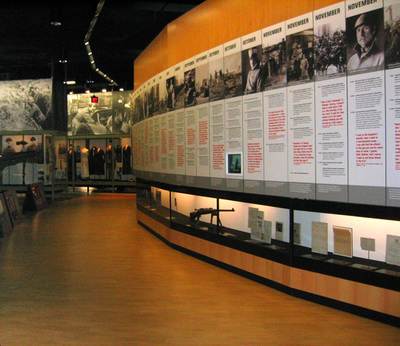 Visitors move chronologically through the events leading up to the start of the hostilities, the war itself, and the aftermath of the conflict. 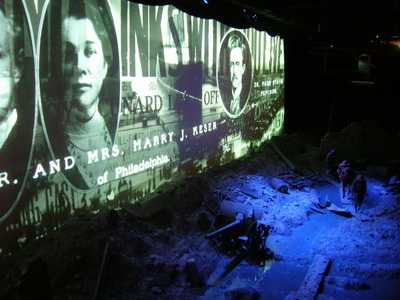 Large scale scenic dioramas present lifelike recreations of the trenches, a bomb crater, and the fields of poppies at Flanders.